14 minute extract from Radio Arthur. The broadcasts interweave into Radio Trent’s own broadcasts. Radio Arthur interjecting into Radio Trent FM broadcasts in 1984. Unknown announcer. This station used to broadcast over the top of Nottingham’s ILR station, Radio Trent, encouraging people to support the miners who were on strike at the time. There were calls to save the nation’s minefields and to join the strike. 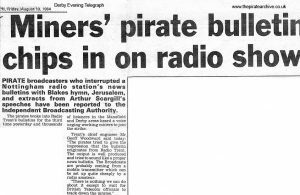 They were therefore dubbed “Radio Arthur” by the national press. When was it first broadcast? The first broadcast was in July of 1984 and was slotted in quite skilfully. There was the normal build up to the news at the top of the hour, and then just after the news jingle, “Radio Arthur” would switch on. To the unsuspecting Radio Trent listener, it would sound like they were broadcasting biased news. Many people complained, even those who realised Trent were not responsible, but still wanted to know why it was not stopped. All Trent could do was to reassure listeners and complain to the DTI. 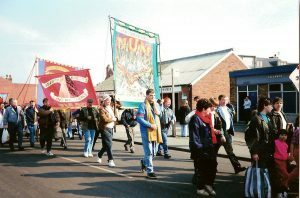 The broadcasts were mostly heard around Mansfield, Worksop, Retford, parts of Derbyshire and Derby itself. The reasons for this were because these areas were considered “moderate” mining community areas and therefore an important pressure point of the dispute, and also there is a low signal point or “black spot” which made it easier for “Radio Arthur” to broadcast over Radio Trent. The medium wave transmitter output power was believed to be in the region of 3500 Watts and they later added an FM transmitter of 800 Watts. Aerials varied from long wires to loaded verticals depending on the location, and for FM a dipole. How many were there and when were they broadcast? In all, there were roughly a dozen broadcasts of Radio Arthur. At first, the “bulletins” would appear on a Thursday or Friday at 11 AM and midday or midday and 1 PM. They then ceased, before reappearing a fortnight later. Broadcasts were also heard in the early hours of the morning, presumably to persuade working miners preparing for their morning shift to join or stay on strike. Due to the sporadic nature of the broadcasts, Radio Arthur was never raided although there were some close calls. Little is known about the people involved, but it is thought that there must have been some professionals, as the blend of speeches, drama, readings and music would have required a reasonable studio set up. It is thought the performers may have been sympathetic out of work actors. 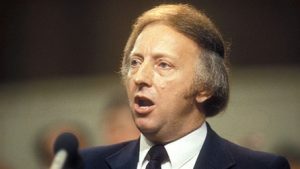 There were also rumours that the local pop pirate, “The Wireless Company” was involved. This proved not to be true and the rumour was actually started by Radio Arthur! It was a ploy to send the DTI off the scent and in revenge for TWC criticising Radio Arthur in the local press. Even so, TWC were caught shortly after and given a major grilling by the powers that be. When were they last broadcast? The FM transmitter was later used to “jam” BBC Radio Sheffield in February of 1985 shortly before the strike ended in March. There were a few more broadcasts from Radio Arthur until they disappeared and were never heard again.